During your time in Northern Ireland you will be placed at one of the University of Ulster’s four campuses: Jordanstown, Magee, Belfast or Coleraine. Jordanstown, Magee and Coleraine offer on campus housing. 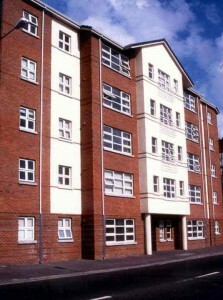 The Belfast campus does not have on campus housing. Accommodation is provided for international students in a range of accommodation types to suit every budget and preference. International students applying using the allocation criteria are guaranteed a room in accommodation. Generally International students can apply for accommodation using the online accommodation portal available here. There are two forms of accommodation available at the Jordanstown campus; The courtyard apartments and the Dalriada student village. The courtyard apartments offer a high standard of space and privacy. Within the courtyard, apartments/flats will have access to broadband through the university network. Six or nine residents share an apartment, with individual study bedrooms that contain wash-hand basins and built in wardrobes, as well as study desks and chairs. The courtyard complex is mostly reserved for Final Year and international students. More information is available here. Dalriada Student Village officially opened in September 2009. The accommodation is mostly in the form of 5 person apartments, clustered around seven attractive courtyards with on-site parking facilities. In addition, there is a small convenience store and self-service launderette, as well as administration offices. The site is just five minutes walk from the main University buildings. More information is available here. 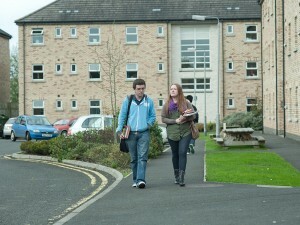 Accommodation for students placed at the Magee Campus is located in two locations; Coppin House and Duncreggan Village. Coppin House is adjacent to the Magee Campus and fronts the Strand Road, one of Derry’s main thoroughfares. This makes it instantly accessible for local shops and entertainment centers. More information can be found here. Duncreggan Village offers 14, three storey blocks constituting a mix of self-catering accommodation ranging from ensuite study bedrooms to a selection with shared bathrooms. More information can be found here. There are five forms of accommodation available at the Coleraine campus; Errigal/ Knocklayge, the Cranagh student village, Cromore Court, Maple Lodge and Agherton Village. 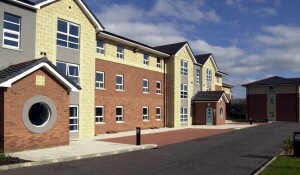 The Cranagh student village consists of 350 bed spaces contained within 70 apartments. Each apartment has five en-suite bedrooms. There are three wheelchair accessible rooms and 38 rooms of a superior standard giving students access to a bigger room. More information can be found here. Errigal/ Knocklayge consists of an on-campus terraced housing development adjacent to all university facilities. This complex consists of 17 houses which are designed for six or nine students to share. More information can be found here. The Cromore Court development offers apartments and houses ideally located opposite the main entrance to the University campus on the Cromore Road, beside the railway station. Click here for more information. Maple Lodge is ideally located adjacent to the university campus. This development consists of both four and five bedroom apartments. From this site you have ready access to all the University facilities such as the Learning Resource centre, 24-hour computer labs, Students Union and sports facilities. Click here for more information. The University does not have it’s own accommodation associated with its Belfast campus. Students studying at the Belfast Campus have a number of options. Although the Belfast Campus is about six miles from Jordanstown, there are good rail, bus and taxi links between the two campuses, and students may apply in the normal way for accommodation at Jordanstown. The University is working in partnership with student living provider, Student Roost, to offer brand new, high quality accommodation right next to the Belfast campus, more information can be found here. Alternatively students interested in living in Belfast can seek guidance on private sector housing here.